Growing up in a Pennsy household (My Dad spent 37 years in freight sales), meant hearing about that road’s famous passenger trains and glory days. I came across this movie years ago when looking through an old railroad movie paper catalog in the days before DVD or internet. With the full cooperation of the Pennsylvania Railroad, the film gave remarkable access to their facilities, passenger equipment, steam locomotives and line side views. The story is rather unbelievable (here, use this baby as a publicity stunt), but the chance to see the 1938 version of the Broadway up close is worth it. Leonid Kinskey, better known as Sascha from Casablanca. He played the high-strung director “Ivan Ivanski”. Victor McLaglen as the loveable engineer Maurice ‘Mike’ Monohan. McLaglen won an Oscar in the 1935 film, “The Informer”. Patsy Kelly is director Ivanski’s trusty assistant who arranges the entire stunt and holds everything together amidst the chaos. As screwball comedies go, this one isn’t that great. The real treat is taking a peak at Pennsy operations including authentic whistles, background scenes, passing trains, authentic locations (like the arched Susquehanna bridge at Harrisburg) and pacing shots. From the cab, engineer Monohan calls out, “Green on top” or “Yard Limit” and his fireman repeats it back. One wonderful background effect is the haunting up-and-down “quilling” of a distinctively-Pennsy steam whistle throughout the onboard train scenes. Pennsy fans will want to check this one out (it’s available at Amazon.com in glorious black and white). 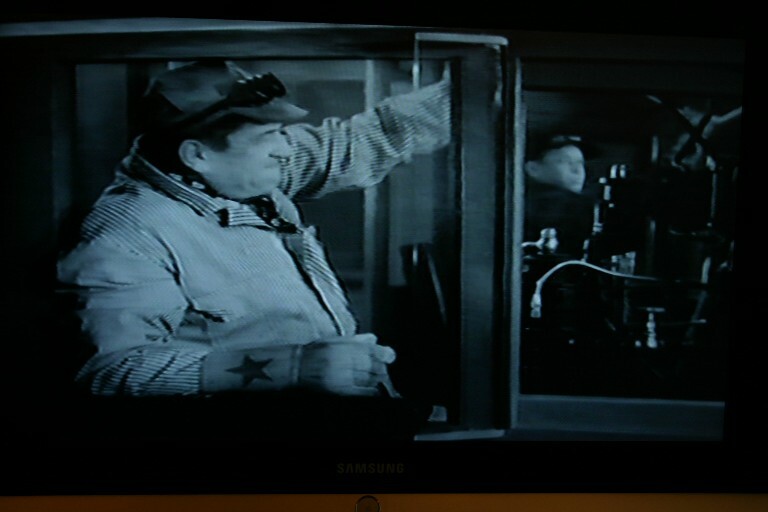 Pennsy Engineer Monohan (Victor McLaglen) running the Broadway. 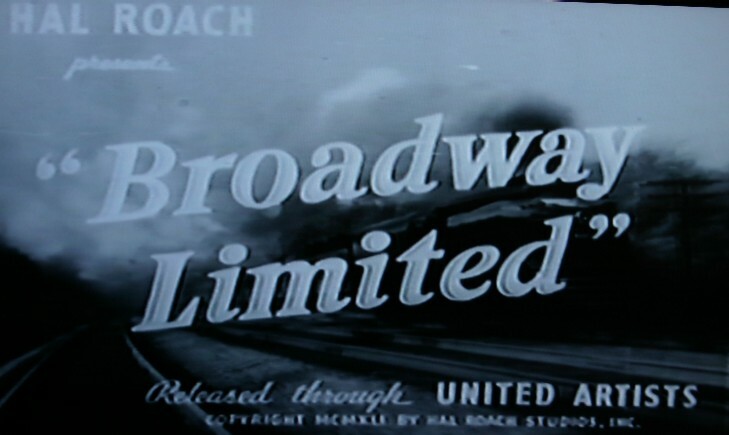 This entry was posted in Uncategorized and tagged Broadway Limited, Leonid Kinskey, Patsy Kelly, Pennsylvania Railroad, Victor McLaglen, Zasu Pitts. Bookmark the permalink.